The Anglo-European College of Chiropractic (AECC) and the Athletic Football Club Bournemouth (AFC) otherwise known as the “The Cherries” have linked up to help the football players in Bournemouth prevent football injuries. 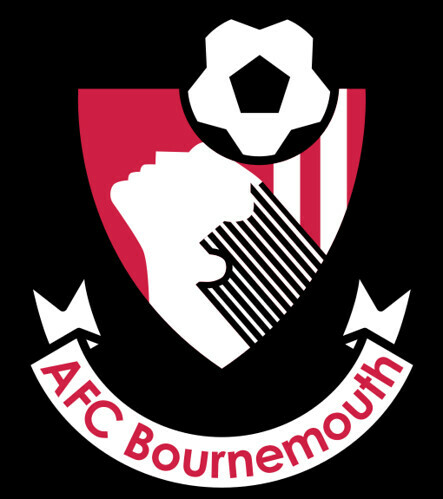 The AECC was delighted to announce that they have agreed a Memorandum of Understanding (MoU) with the Coca-Cola League football club AFC Bournemouth for English football season 2009/10. The partnership will give AFC Bournemouth football players access to chiropractic sports football injury treatment & care directly from the AECC Chiropractic College in Bournemouth. Read more about chiropractic in football and especially football injuries prevention clinics. Chiropractic has not only linked up with the Cherries professional football club recently. Italian football club, AC Milan, is another famous football club using the skills of chiropractors for their players sport football injuries and sport performance. AC Milan football club signed up with the AECC Chiropractic College in Bournemouth earlier this year 2009 to help the club keep its football players fit and maintain their top-level performance. The Bournemouth Chiropractic college entered into a formal agreement with AC Milan’s football club treatment and assessment centre, MilanLab. The agreement involves research collaboration and joint supervision of research students, staff exchanges and jointly organised conferences and seminars. The MilanLab is headed up by doctor of chiropractic, Jean‑Pierre Meersseman. Dr Meersseman is the long‑time medical director of AC Milan football club and has created a revolutionary model of health care management, injury prevention and performance enhancement. MilanLab is the high-tech scientific research centre set up by AC Milan football club. MilanLab has been operating since July 2002, and is based inside the Milanello Sporting Centre. The purpose is to optimise the psycho-physical management of the athletes. In AC Milan football club view MilanLab represents the ideal combination of science, technology, IT, cybernetics and psychology. One of the areas that MilanLab looks to help football sport injuries is neurostructural area. The neurostructural area is based on the chiropractor Dr Meersseman’s approach that emphasizes the intrinsic ability of the body to recover without drugs or surgical intervention. “We’re open minded to any idea that can help give our players an edge on our opponents. My medical staff hold chiropractic in very high regard and we are looking forward to good working relationship with the AECC. Something we believe in a great deal is taking a proactive approach to injuries, rather than just reactive. By that, I mean we are working hard to understand why certain problems occur and if we can, we put preventative measures in to stop injuries happening. I think football is moving into the 21st century with regards to its view on medical science. So here is to watching the beneficial relationship between professional English football clubs and chiropractic care to help assess, prevent and manage 2009 football injuries and beyond.